Vegas 500 Air Tours, Vegas’ premiere air tour company, is launching the Grand Canyon Express tour, an accelerated tour of the Grand Canyon that packs all the beauty of the canyon in less time—making it the most time-efficient and affordable Grand Canyon sight-seeing tour. Perfect for the gambling man and the sight-seeing woman, the Grand Canyon Express package gets canyon adventurists to the natural wonder and back in just under five hours, with over two hours of on-the-ground exploratory time at the Grand Canyon West. Available starting April 1, the new Grand Canyon Express flight package will include spectacular views of Las Vegas, historical Boulder City, Lake Mead and Grand Canyon West. Upon arrival to the Hualapai Indian Reservation, tourists will enjoy all that Grand Canyon West has to offer. Explorers are invited to jump aboard the free Grand Canyon West shuttle and witness all the splendor of Eagle Point, Guano Point, Hualapai Indian Village and the Hualapai Ranch. Tour attendees will learn the history and culture of the Hualapai Indians while embarking on a once-in-a-lifetime journey. 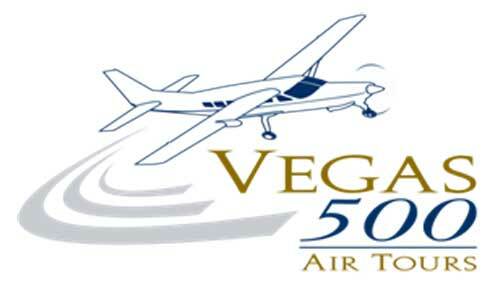 **As a special introductory rate, Vegas 500 Air Tours is offering the package at $200 for the month of April. For more information or to book the Grand Canyon Express tour, call 1-888-494-5850 or 702-631-0386 or visit vegas500tours.com.